My new interview with Will Beacham, deputy editor of ICIS Chemical Business, focuses on both these key issues and suggests they will create Winners and Losers. 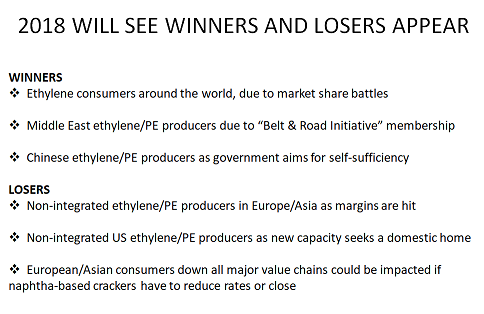 We have seen price wars before, and the “Winners” are usually the integrated producers, who can roll through margins from the well-head or the refinery into ethylene and polyethylene sales. The economics of this are relatively simple. In the US, producers will have to absorb lower margins on the small percentage of shale gas that is used as ethane feed into the cracker. Similarly in Europe, refinery-integrated producers will have to absorb lower margins on the small percentage of oil that is used as naphtha feed into the cracker. Non-integrated producers clearly face more difficult times. 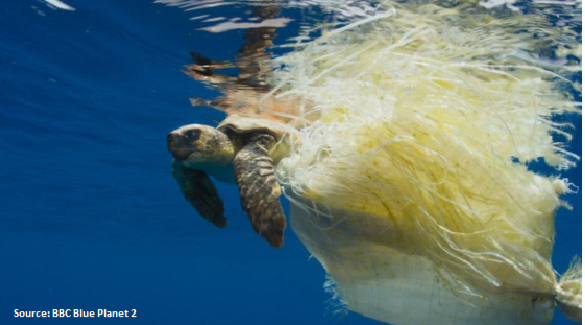 And like the integrated producers, they share the challenge being posed by the rise of sustainability concerns, particularly over the 8 million tonnes of plastic that currently finds its way into the oceans every year. This issue has been building for years, and clearly consumers are now starting to demand action from brand owners and governments. 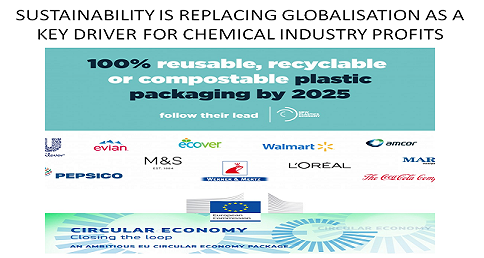 In turn, this opens up major new opportunities for companies who are prepared to realign their business models with the New Plastics Economy concepts set out by the Ellen MacArthur Foundation and the World Economic Forum. Clearly this represents a paradigm shift for the industry, both producers and consumers. It may seem easier to do nothing, and to hope the whole problem will go ahead. 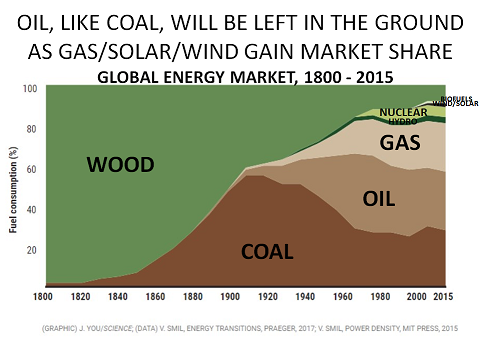 But the coincidence of the arrival of all the new US shale gas capacity makes this an unlikely outcome. Companies who do nothing are likely instead to become Losers in this rapidly changing environment. But as I discuss in the interview, companies who are prepared to rethink their business models, and to adapt to changing consumer needs, have a potentially very bright future ahead of them. Please click here to view it. 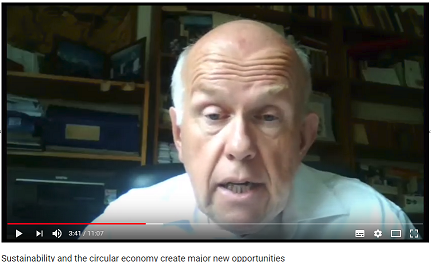 The post 2018 will see Winners and Losers appear in plastics markets appeared first on Chemicals & The Economy. As the detailed data from Team-BHP shows, only 5 models managed a month-on-month increase in sales. Whereas there were 10 models with >40% volume drops. And overall, the market is now down 5% in 2014, after an 11% decline last year (green line). Stock markets often travel in hope, and then turn down when reality arrives. Thus the new government will have to move fast to reverse current trends, before its honeymoon period ends. Its key issue is that there is no ‘quick fix’ for the problems it faces. Investors and company executives all wanted to believe that India had suddenly become ‘middle class’ with Western spending levels. But in reality per capita income this year is expected to be just Rs 74920 ($1200). Until the government resets expectations, they will find it hard to make much progress. The key is to accept that the idea of India being middle class is a complete myth. Investments made on this assumption either need to be closed, or sales redirected into export markets, as Ford is doing with its Ecosport model. Unsurprisingly, they continue to do well, with Q1 profits up 9%. Its a great pity that so much money and effort has instead been wasted by other companies in pursuing an illusion. World Bank warns "real-side recovery is weak"
The risk of global recession continues to rise, with the World Bank last week warning that “the real-side recovery is weak and business sector confidence is low“. Spain, the world’s 12th largest economy, provides a good example of how the problems are spreading. Even worse is data from the relatively rich Catalonian region, where the Red Cross says 28% of children now suffer from child poverty. Yet budget cutbacks means only 9% of schoolchildren get free school meals. Many of the rest go hungry. Consumer products giant Unilever tells the same story. Its European head, Jan Zijderveld, warned back in August that “poverty is returning to Europe” and highlighted how they were successfully introducing business models from “Indonesia (where) we sell single packs shampoo for 2 to 3 cents and still make good money”. The story of the 1989 US movie Field of Dreams summed up the happy days of the economic supercycle that was then getting underway. Starring A-list players such as Kevin Costner and Burt Lancaster, its theme that “if you build it, they will come” came to define the era. In the world of manufacturing, companies stopped worrying about end-user demand. Instead, they became convinced that growth was a constant, and that demand for their product could be modelled on a spreadsheet as a ratio to GDP. Similarly in financial markets, banks abandoned the use of personal judgement and experience. Instead, they hired maths and physics graduates to build black-box computer models. Risk became managed via spreadsheets and complex ‘value-at-risk’ models. The blog rather likes spreadsheets itself. But ‘garbage in, garbage out’ is a good definition of their limitations. Equally, it worries that the models only use relatively recent data, often from just the past 5 or 10 years. This is not long enough to capture the trends of even a single generation. Now, of course, the models are starting to misfire left, right and centre. Demand no longer follows GDP growth, as we demonstrate in Boom, Gloom and the New Normal. Whilst JP Morgan’s $2bn+ trading loss is only the latest in a long sequence including US subprime and Lehman. Field of Dreams was a great film. But it is time to make a break with its message of wish fulfilment. The hard truth today is that ‘if you build it, they may not come’. Nor can banks continue to run their business via computer models. This is why the blog believes Unilever CEO Paul Polman’s message about today’s increasingly VUCA environment is so important. Volatility, Uncertainty, Complexity and Ambiguity are likely to be the theme for at least the next few years. Fellow blogger Doris de Guzman noted one great example last week, when questioning whether Facebook could really be worth the combined value of Dow, DuPont and ADM.
Another is the widespread myth that says China is now a ‘middle-class’ country, and can easily replace any loss of demand in the West. Unfortunately, 96% of its population has an income of less than $20/day, well below the poverty line in the West. Readers can no doubt compile their own lists of myths very easily. And as we are seeing with Facebook, those who invest of the basis of them can easily lose a lot of money. Belief in such myths can also blind us to what is happening in reality. Convergence is indeed taking place between Western and emerging markets, but in the opposite direction. As the blog noted in March, automakers such as Renault, Ford and Datsun are all focusing on the low-cost market in the West. Renault are the most successful, with low-cost models such as the Dacia now seeing more sales in Europe than in their original Indian target market. Similarly, food giant Nestlé is seeing strong growth in sales of cheap, smaller package-sized products. One example is packs of 25 single-serve Nescafé instant coffee sticks, which sell for €2 in France – less than the price of an espresso in Starbucks. These examples are further evidence for our argument in Boom, Gloom and the New Normal that affordability, not value-in-use, will be the key to future profitability.